WE ARE DIGITAL. WE ARE PEN AND PAPER.  Coffey Marketing and Creative is a boutique agency based in Middle Tennessee. We believe in good design, value, and thoughtful service. Beyond all, we are passionate about what we do. Nicole is a marketing and communications professional with experience leading corporate marketing, internal communications, and creative teams in diverse industries. With over 15 years of experience, she is an expert in conceptualizing and orchestrating marketing campaigns that reinforce and build brands, and drive sales growth. A lover of horses, dogs, family, and bad TV. Working with like-minded creative and technical professionals, we offer fully integrated marketing and creative services. What does that mean? You will be utilizing all aspects of marketing and creative you may need – from digital to traditional – whenever you’d like, all in one place. Pretty useful, right? If you manage your company’s advertising and marketing, you face challenges: big data, new platforms, and financial budgeting to name a few. Our company can take some of the load of your shoulders. How you ask? Through creativity, exceptional planning, and high growth strategies. All of which get YOU more results. Enough about us, let's get to work!